Summertime is time for lacy and bright cover-up tops! Consequently, I created this oversized kaftan top made by fine cotton yarn and lacy crochet stitches. A classic flattering outfit with V-neck line and loose style to throw on. Is it time for sunny days on the beaches again? 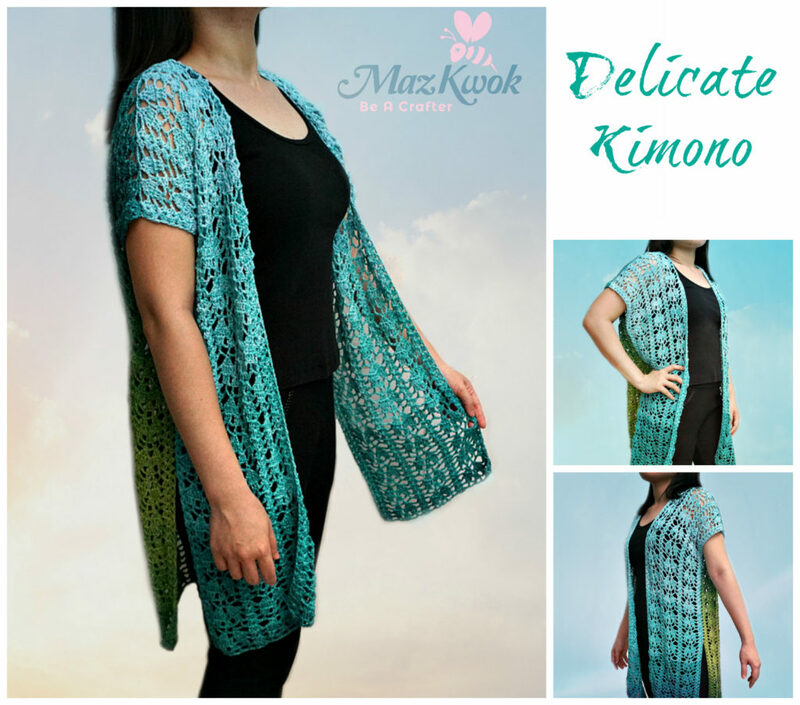 Then, just grab a crochet hook and some light weight yarn for a simply pretty item. 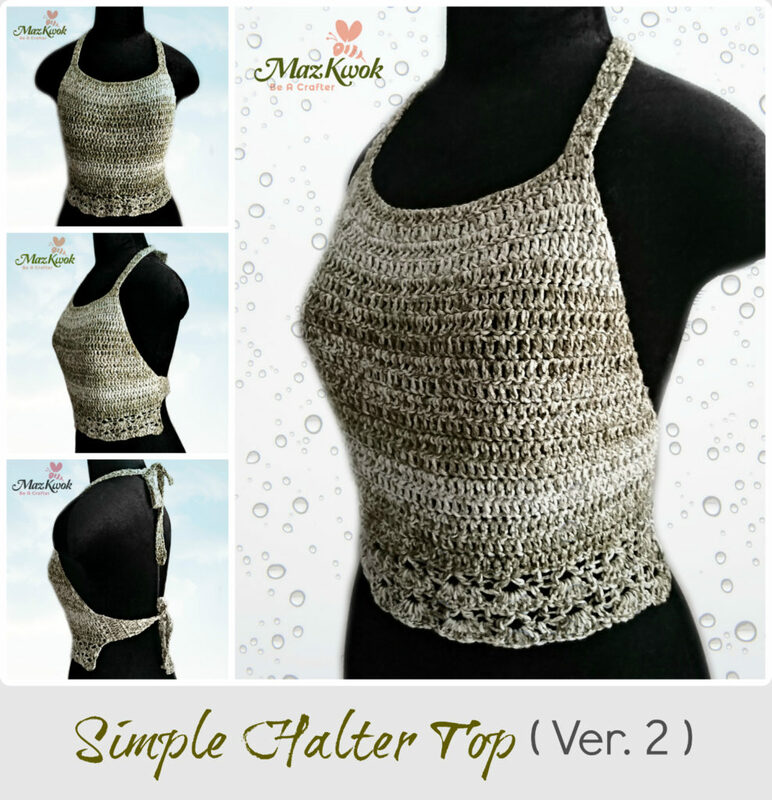 Here’s the another version of the Simple Halter Top I made last year.